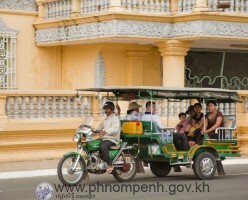 Phnom Penh is a fairly easy city to get around. You can still travel the length of the city in less than 30 minutes and travel between most popular tourist destinations in less than 10 minutes. 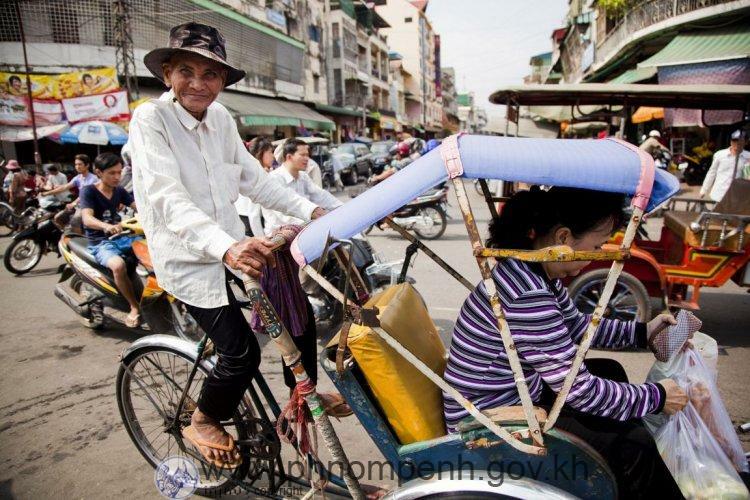 “Remork” have become quite popular in Phnom Penh. 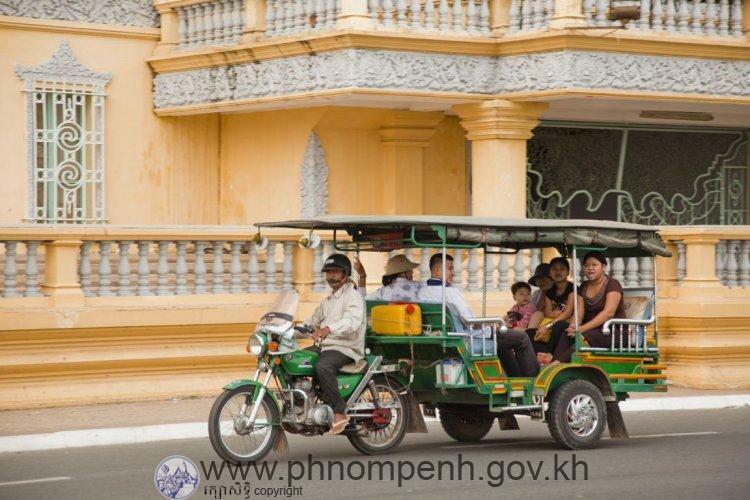 The Cambodian “Remork” offer a quieter, more pleasant ride. Remork for hire gather in popular tourist areas such as the riverfront and at tourist hotels. $1-$2 for short trips and $10-$15 for the whole day. Prices vary depending on the number of passengers and where you pick up the Remork. 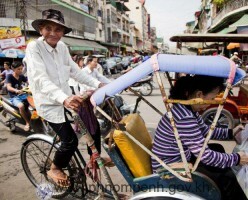 The omnipresent ‘moto’ is the most common and fastest form of public transportation. Motos can be found virtually everywhere in town, just step to the curb and they will find you. 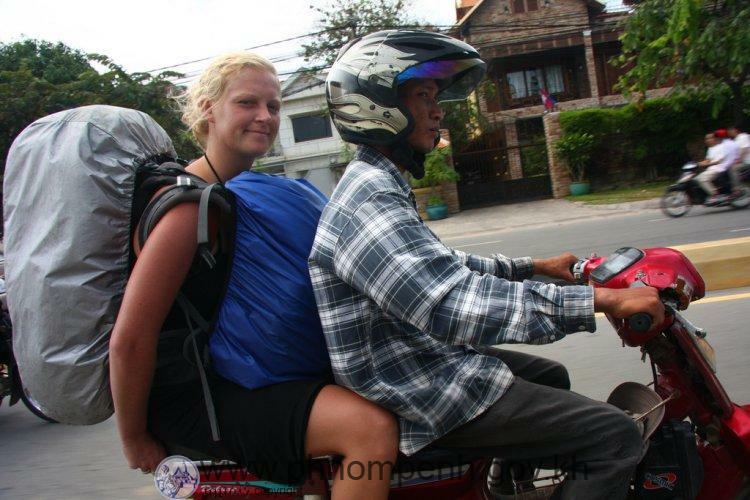 Motos cost from 1500R-4000R for a trip in town and $6-$8 per day. Prices go up at night and for multiple passengers. Global taxi, Tranchoic taxi and Taxi Association offer on-call 24/7 taxi service. 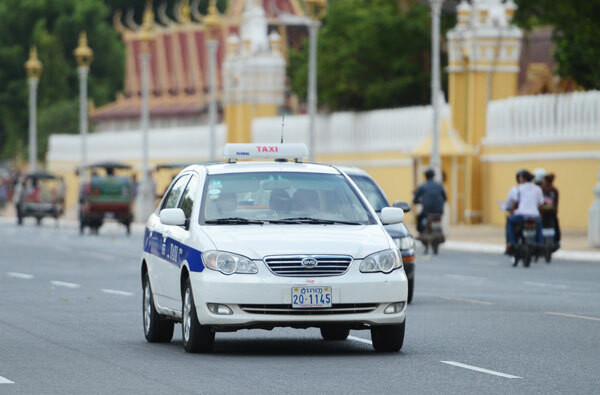 Both are generally available only on-call, although the new Global taxis sometimes wait in tourist areas, especially late at night. 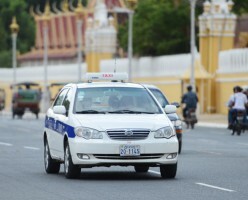 More common are unmarked, unmetered taxis, usually Camrys, which can be arranged through your hotel or travel agent. They can also be found waiting outside major hotels. Taxi/car with a driver costs $25-$35/day. Short jaunts around town run a minimum of $4-$5. The humble bicycle rickshaw known locally as the “cyclo” can be a romantic, even practical form of transportation, especially if time is not a factor. Cyclos are easier on the nerves than motos and the canopy offers a drier, cooler ride. A cyclo ride should cost about the same as a moto.